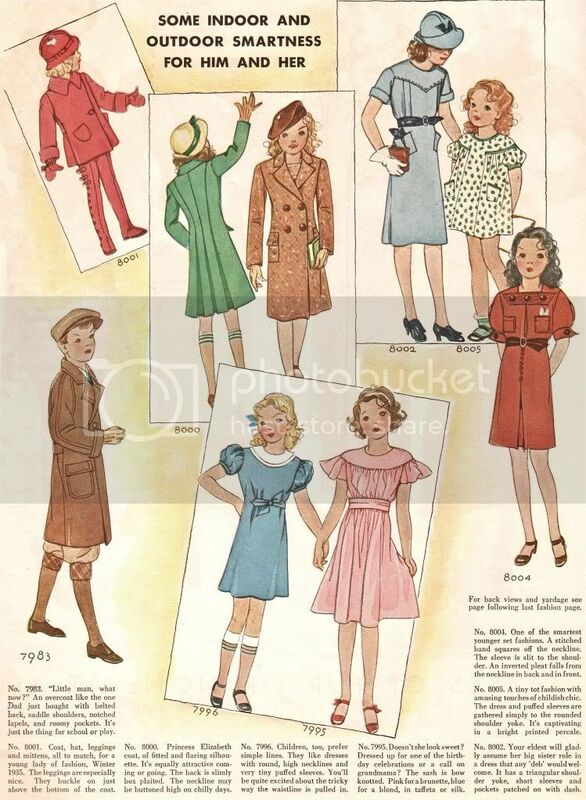 McCall Magazine hasn't forgotten the kids in 1934. They ask "Little man, what now? "and "Doesn't she look sweet?". Please note "The leggings are especially nice. They buckle on just above the bottom of the coat." The Princess Elizabeth coat is "equally attractive coming or going." Don't miss "A tiny tot fashion with amusing touches of childish chic." Just remember "Pink for a brunette, blue for a blond.."